Stay updated as we prepare FREE resources and step-by-step processes to assist you in the most difficult aspect of life: loss of a loved one. 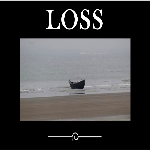 Join us and embark upon the journey of living again after loss. There is still hope. There is still joy. There is still life. It is all on the horizon for you. Let us show you! Thank you for registering with On The Water Counselling. This is a verification page to let you know that your registration is active. You will receive an email from us in just a moment letting you know about our tools that are available to you and asking how we can best help you very soon. We are looking forward to helping you out of your boat and onto the water.